This is truly a 30 minute or less meal. It is also an extremely delicious and frugal dinner. I have taken this pasta as a side dish to potlucks and barbecues and it is always a big hit. Start boiling a pot of water for pasta, follow directions for cooking pasta. Grill or cook in skillet sausage links. If cooking in skillet slice to cook faster. Saute onions and peppers in a small amount of olive oil. 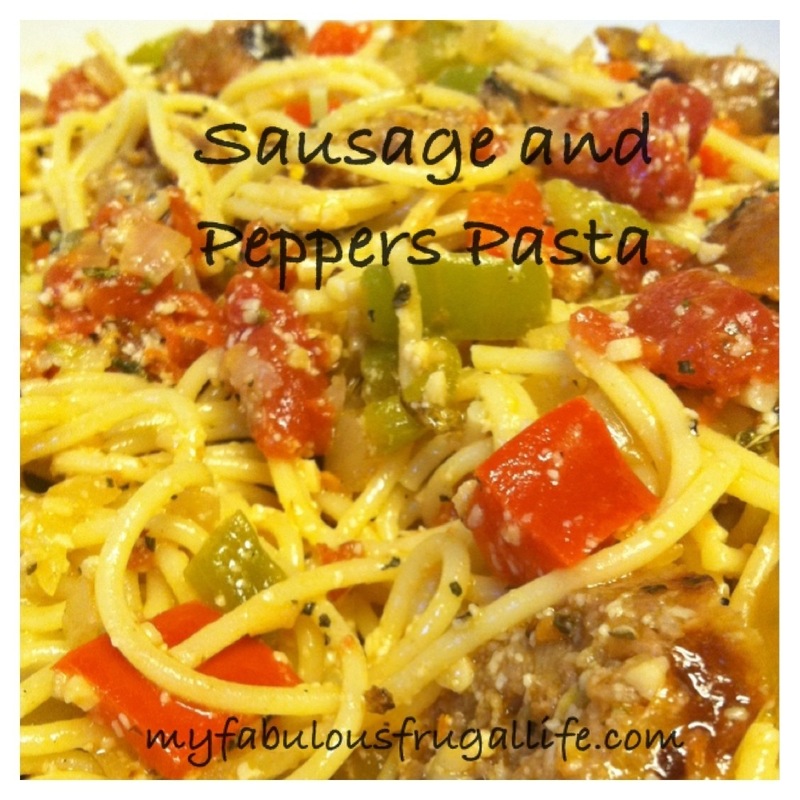 Combine cooked pasta, sautéed vegetables, and sliced sausage in large bowl. Add drained tomatoes and remaining ingredients. Toss thoroughly, you may want to add more pepper flakes and parmesan. This pasta is so good and so easy to make. You will love it! Yummy yum! This is going on my menu next week. Thanks Kares! No problem! You will love it! ColinCongratulations on your addict spot and thnaks for a great interview with Kari. I agree with all that you say about Artists Way too. Now get well soon! Thank you! It is delicious and super easy to make!